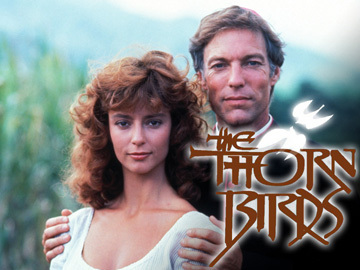 The Thorn Birds ಇ. . Wallpaper and background images in the Memorable TV club tagged: the thorn birds memorable tv shows 80's mini-series richard chamberlain rachel ward. This Memorable TV photo might contain potret, headshot, and closeup.